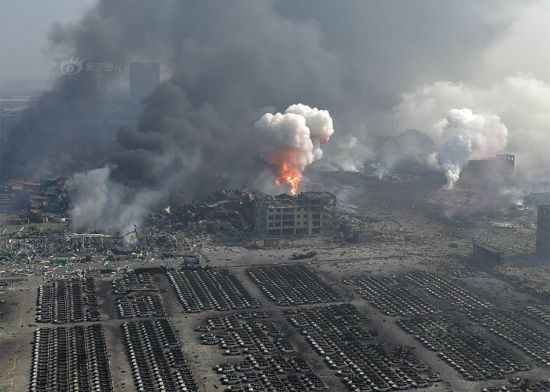 The Tianjin Blasts: Industrial Accident or Nuclear Attack? Total devastation and the fires are still burning. Aftermath of Tianjin blasts echoes the aftermath of 911 in Manhattan in many ways. The death toll from the Tianjin blasts stands at 114, with another 80 missing and presumed dead. The truth is that given the condition that the site is still in I would suggest that the death toll is in all likelihood far higher. There were two major explosions in the Port of Tianjin on August 12th, one has been estimated as being the equivalent of three tonnes of TNT, the other the equivalent of 21 tonnes of TNT. They are described as having caused seismic readings of 2.3 and 2.9. There has been no information offered whatsoever by the Chinese Government as to the specific cause of the blast and the popular conspiracy theories on this one seem to have missed the mark other than in their assertion that this was no mere industrial accident. 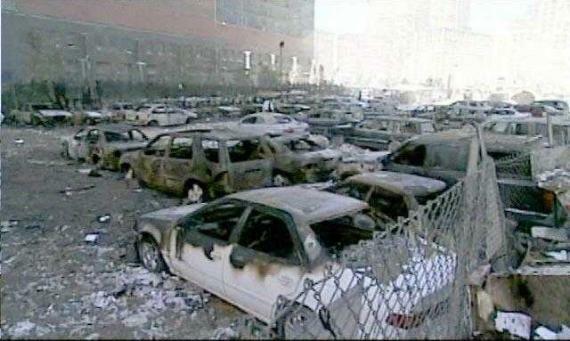 The scene of what is left of the area looks like Hiroshima, Nagasaki or Manhattan after 911, only more so. The devastation is far more intense. 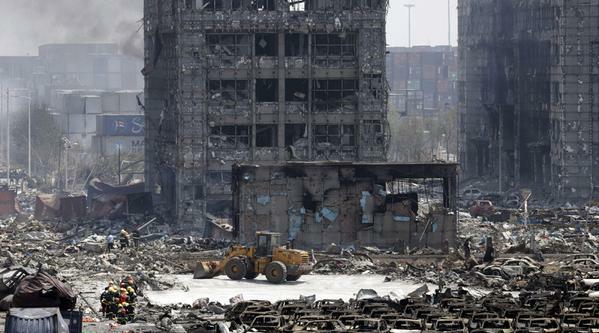 It looks like a war has been fought in the Tianjin Port, a devastating and prolonged war. 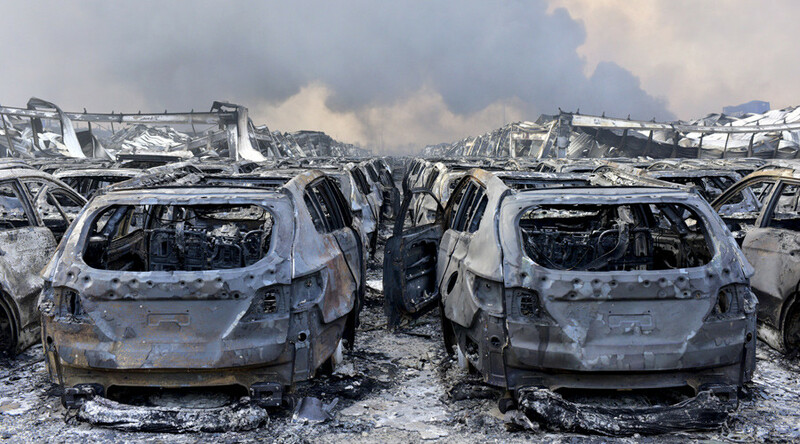 The cars in Tianjin show the signs of having been struck by a Thermal wave associated with a Nuclear blast. There are so many signs that a nuclear event has taken place that some type of nuclear event remains the best explanation until a better alternative is provided. This does not mean that there was necessarily an attack, simply that the explosion is the result of some type of nuclear incident. The persistent fires, small fresh explosions days later, the blast damage, the scale of the crater, the fact that Chinese Government investigators are wearing full NBC protection suits at all times and the Nuclear weapons specialists the Chinese have sent to the scene are all signs that a nuclear event took place in Tianjin on August 12th. “The big clue is in the ash produced and the exploding radiators on the cars. They show the radiation and the blast patterns the best. All melted rubber, glass, and aluminium but no melted steel? This tells you it is from radiation and not from a gasoline fire. Temps between 1500 degrees C for melting aluminium and less than 3,000 degrees C for melting steel. 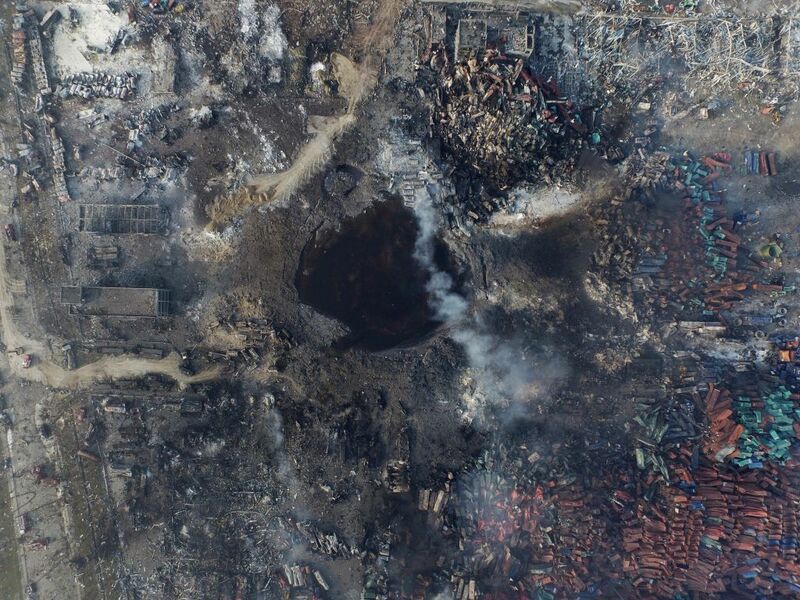 Everything organic ashes below 450 degrees C.
Severe light saturation as the Tianjin explosion occurs. One of the striking things about Nuclear weapons is the intense blast of light that they create. 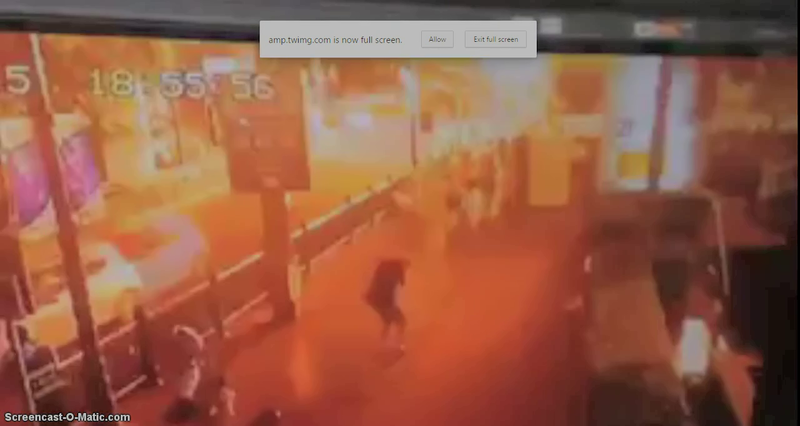 It is quite unique and could be observed very clearly in the aftermath of the Israeli Nuclear attack against Syria of May 2013.There was a very striking bright light produced from the second Tianjin blast, and watching the videos I was going through the whiteout section frame by frame, counting the frames. There seemed to be a very long whiteout although the light was not quite as intense as the May 2013 Syria proven nuclear event. I was able to count over thirty separate frames of white light in the videos taken at a distance of several kilometres from the blast. 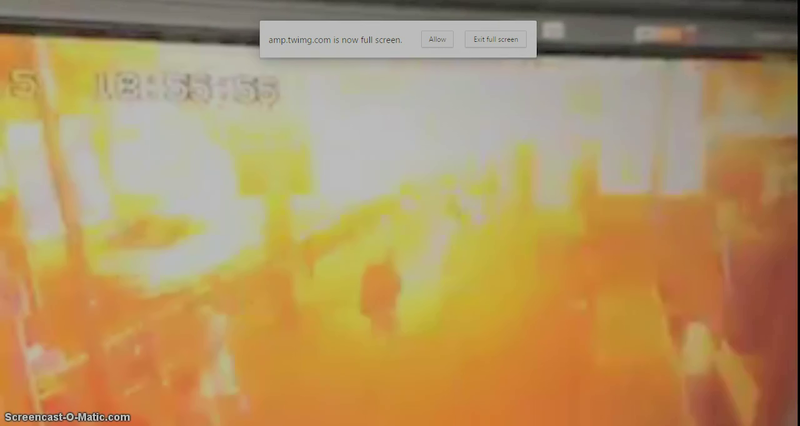 The closer to the blast the earlier the camera person would be knocked off shot by the blast wave. This is one of many graphics that seem to show the blast took place in the middle of a car park. The Before and After Problem. One strange detail is the fact that there does not appear to have been a warehouse at the blast epicenter. The presenter of the satellite imagery on Chinese state CCTV openly states that the centre of the blast was in a car park. 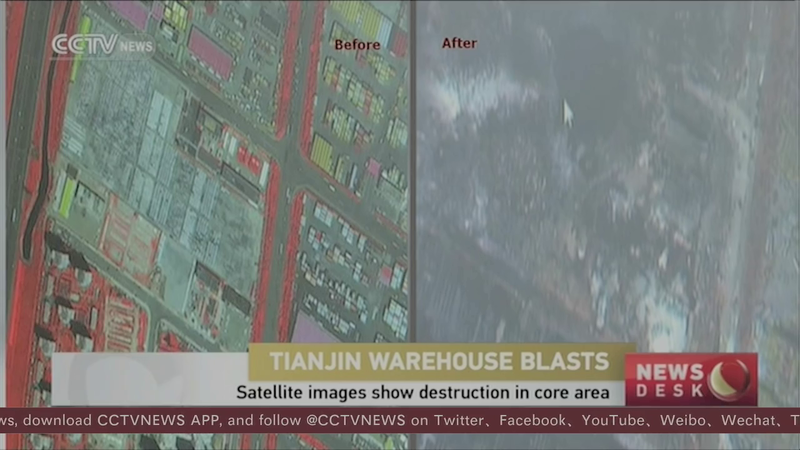 The before and after satellite images are completely lacking in any large warehouse or building at the centre of the blast site. We see a fairly good set of before and after photos and there is no doubt about the fact that there seem to be several large warehouses towards the edge of the blast but there was no warehouse at or near the epicenter. Surely the source and epicenter should be in the same place? Perhaps there were goods stored underground. That appears the only possibility because it has happened, the devastation emanates from a car park and that is not a viable source for a 21 tonne, 2.9 on the Richter scale blast. The story that got a lot of traction was that the US attacked the Tianjin Port with the “Rod of God” or Project Thor “kinetic bombardment” weapon. The idea behind Project Thor is that you simply drop a steel pole from space and by the time the object strikes the target it will be travelling at extreme speed (Mach 10 is quoted hypothetically) and will cause massive devastation due to its velocity without any bomb having to be used. This is the “rod of god” as far as we know which is very little. 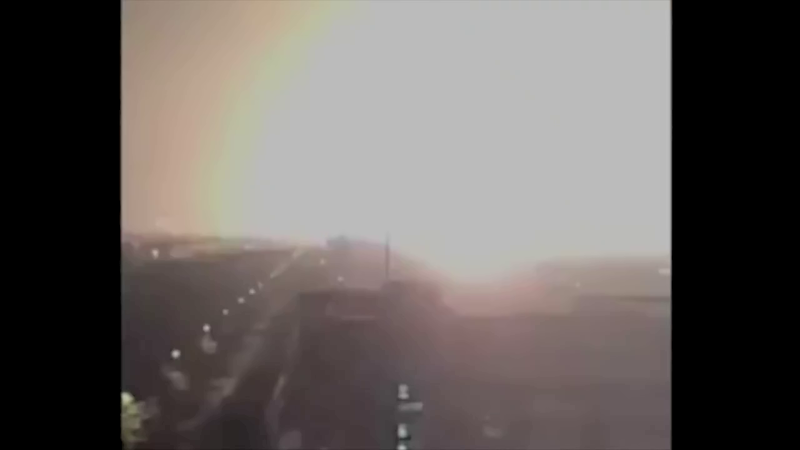 If the Tianjin explosions had been caused by steel objects traveling at high-speed it is extremely likely that these rods would have been visible and-or audible, and given that the Tianjin blasts were filmed by many cameras these objects should have surely been seen or heard in the video recordings of the event. But they weren’t. Having never witnessed this system in action this is pretty speculative obviously but an object entering the earth’s atmosphere traveling at Mach 10 will make a tremendous sound and I don’t see any way around that. The same applies for the hypothesis of a cruise missile strike. Videos of cruise missile strikes on Baghdad are available on Youtube, they make a loud whistling or hissing sound that can be heard prior to impact. The Lack of an Electro- Magnetic Pulse. Some have pointed to the lack of an atmospheric ElectroMagnetic Pulse (EMP) in Tianjin is evidence that something other than a nuclear detonation has taken place. It seems that the lack of an EMP is evidence that an above ground nuclear detonation did not take place, but according to the Ask a Mathematician/Ask a Physicist website, an underground nuclear detonation does not cause an ElectroMagnetic Pulse. Why do nuclear weapons cause EMPs (electromagnetic pulses)? So the EMP effect is created by the interaction between a powerful explosion and the ionosphere and the same source Why do nuclear weapons cause EMPs (electromagnetic pulses)? appears to answer the question regarding the lack of EMP observed in Tianjin, and in New York City in 2001.The EMP effect is greatly reduced when the detonation takes place underground as the ground acts as a cushion between the device and the ionosphere. “Do underground detonations have the same effect as above ground detonations? 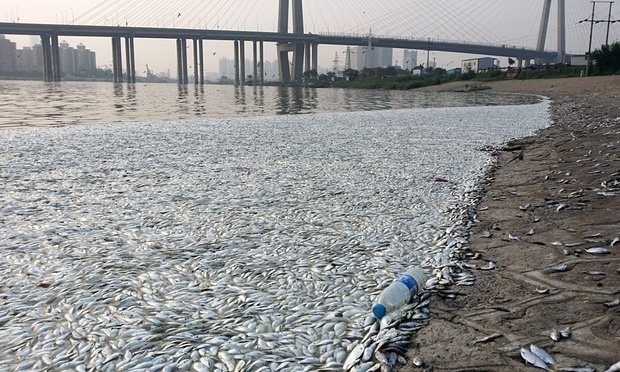 The mass fish deaths in the Haine river, 6kms from Tianjin. If you think about a Port and what is special about a Port and about what might make a Port a target of an attack there are two standout possibilities. A Port is an economic hub, the Tianjin blasts will have an impact on the Chinese Economy and the Chinese Government.So, if we accept that the incident was no accident, an economic attack on China is one possible motive. The other special characteristic of a Port is that it is a transit point for all sorts of goods, so one other possibility that must be considered is that something being moved through the Port was targeted. A nuclear device has been detonated, that seems fairly clear at this stage and no-one is even really denying it. 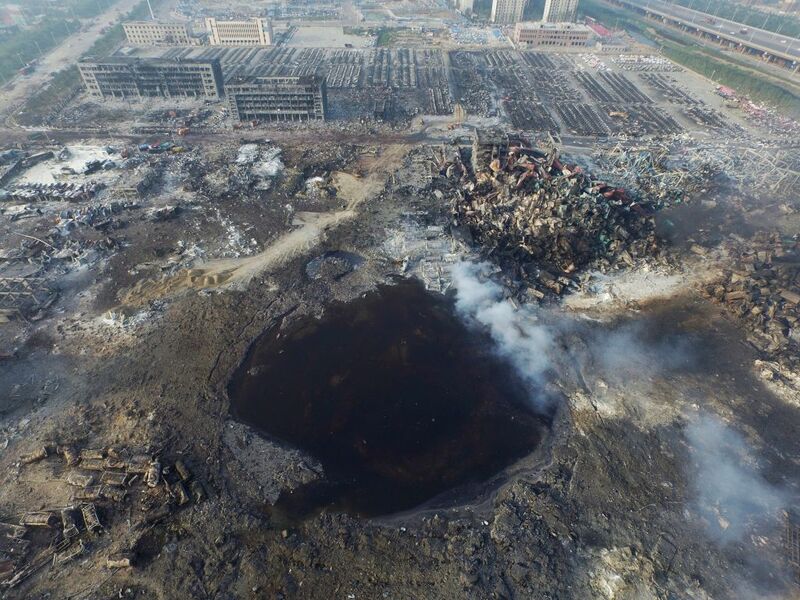 Another advantage of attacking the Tianjin Port lies in the masking effect, the plausible deniability achieved by the fact that a number of volatile chemicals were stored at the Port and standards of control measures employed at the Port were clearly inadequate as this had been the subject of previous public protests. Either the Nuclear device was used as an act of sabotage and terror or Nuclear devices being moved through the Port were targeted by another party, an outside possibility that should not be dismissed. Mushroom cloud in Tianjin, August 12th,2015. China, the United States and the New World Order. A Very Short History of Post Revolutionary China. The Chinese Communist party seized power in 1949, the leader was the Yale connected Chairman Mao. The nation that Mao found himself the ruler was overwhelmingly rural and agrarian. The story of CCP rule in China has been more than anything else, a story of urbanisation and industrialisation. The results have been mega-cities filled with urban immigrants working in slave labor conditions under leaden skies filled with industrial pollution. The mainstream mantra about the “”Chinese miracle” simply ignores the life that has been imposed upon China’s urban proletariat and the environment they are expected to inhabit. The idea that people working 12 hour days and living in crowded dormitories are somehow better off than their impoverished rural forebears is a grotesque joke. The relationship between China and the United States has had some extremely interesting moments. The current two largest economies were official enemies until the early 1970’s. The Korean war represented the high point of the first phase of the relationship. China presented the US with an extremely unpleasant surprise in Korea. The US and it’s allies had all but won the war, North Korea was facing total defeat and US forces were almost at the border with China when they were attacked by a massive force of infantry that managed to cut off the US Eighth Army who were largely surrounded by the Chinese forces. The US forces were severely hampered by the delusional leadership of General Douglas Macarthur who refused to comprehend the fact that China had intervened and his forces required urgent assistance. The Korean setbacks led within weeks to President Harry Truman relieving Macarthur of his command. The Eighth Army conducted a retreat that remains the longest ever retreat US forces have been involved in. In order to escape the Chinese encirclement the US soldiers abandoned their heavy weapons and much of their equipment and were reduced to the status of a disorganised rabble. The territory of North Korea was thus reclaimed with the help of the Chinese forces who inflicted a terrible setback on the United States despite the US having total air superiority and better weapons and equipment in every respect. A similar situation persisted until the 1970s when a grand deal appears to have been struck between China and the West to make China a key manufacturing centre as the West was de-industrialised. Between 1980 and the present day China seems to have operated as a Communist Party gangster state in key partnership with the oligarchs of Global Finance. The transition was overseen by a group known as the Eight Elders, also sometimes called the Eight Immortals. The most well known figure among this group is Deng Xiaoping. The model of leadership that this group put in place was seized upon by further generations of the CCP leadership including a group known as the Shanghai clique. The Jiang faction appears to be engaged in a power-struggle with the current leadership that is active to the present day. 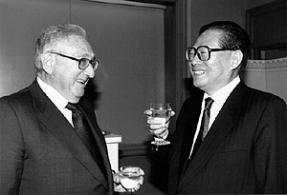 Henry Kissinger, a Western powerbroker with extensive ties to the Dark elite meets with former Chinese Premier Jiang Zamin their most recent meeting was in 2013. The Power Struggle(s) in the CCP. This faction, or series of factions appear to have ruled China throughout the industrial and urban transition. They were great friends with the Western elite who admired them due to their powers of coercion, the level of obedience they achieved and the ruthless measures they were willing to take against any who objected. The China that came into existence over the past 35 or 40 years WAS the New World Order in all its dystopian glory. But China was never just a factory, it was a place producing millions and millions of engineers, doctors and other technically qualified University graduates. The New World Order dystopia was always destined to brush up against the reality of a burgeoning middle class making increasing demands regarding environmental controls and other lifestyle elements, as well as greater political freedom and more access to power. The Chinese Government seems split between “open” gangsters who want the party to go on forever and realists who believe that the party will be destroyed unless it can be more responsive and transparent. 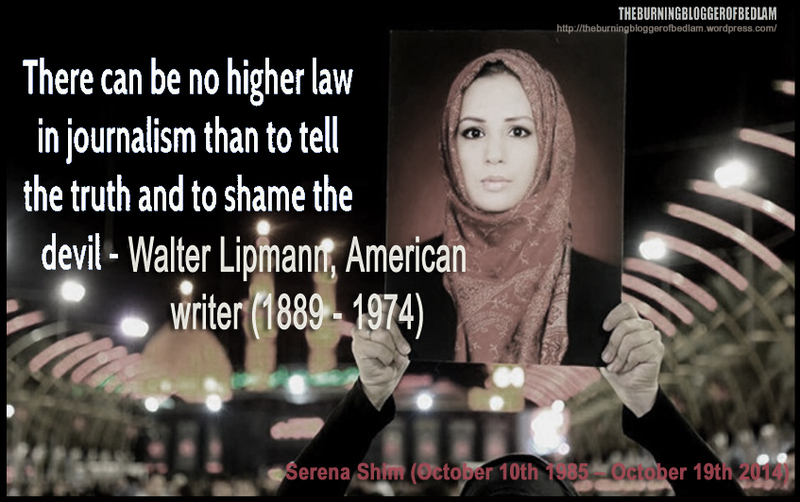 They have been above the law for several decades. So as part of Xi Jinping and his faction asserting themselves, many of these former strongmen with close ties to the Western New World Order leadership have been marginalised and destroyed by what is probably an equally ruthless and unethical opponent of a more Nationalist bent. Numerous assassination plots against Xi and key allies have been alleged. In September 2012 Xi Jinping’s vehicle was rammed deliberately by another vehicle and forced from the road. On the same day one of Xi’s key allies suffered an identical fate. Neither man was badly hurt. One of the theories listed in the Daily Mails “conspiracy round up” on Tianjin was that it was plot against the life of President Xi Jinping. This rumour was probably started by the perpetrators, another intimidatory message as well as a smokescreen. Bo Xilai and the death of Neil Heywood. The very strange death of Heywood set off a chain of events that led to the complete political destruction of Bo Xilai, alleged to be a key ally of George Soros and the Western banking cartel families. Alcohol poisoning was not a feasible choice for a cause of death as Heywood did not drink alcohol at all and an investigation was reopened and the matter exploded when Bo Xilai’s former police chief Wang Lijun fled to the US consulate and accused his former boss of corruption and involvement in the Heywood murder. The US refused to let the apparent whistle-blower take refuge and he was force to leave after 24 hours and taken into custody by the Chinese Government who had him declared mentally unsound and committed to an institution. Wang Lijun was later sentenced to fifteen years prison. One sign of Bo Xilai’s audacity was the fact that he intercepted and spied upon any and all phone traffic inside Chonqing, his sphere of influence. This included the interception of phone calls made by the then President Hu Jintao made during his time in the city. Certain elements of the CCP have seemingly decided that Bo Xilai and his British Intelligence pal had to go. It seems that agents of the Chinese state “got to” Heywood but made a nasty error in their chosen cause of death. So the crime was used to destroy the entire Bo Xilai network with his wife taking the blame for Heywood’s murder, presumably under coercion, Bo Xilai imprisoned and Heywood dead. Logically it seems that part of the reason Tianjin happened was that multiple lines of succession that had been put in place in China by the Western oligarchs had just been destroyed or otherwise marginalised. This is obviously just conjecture that attempts to find meaning in this deeply puzzling and troubling event. The reliable old allies such as Jiang were being aggressively sidelined and arrested for corruption. The contract the Bankers felt they had with the CCP was no longer to their mind being adhered to, so they made their feelings known in their customary manner, by conducting a false flag atrocity. This is the favored form of communication when other channels are not working, the “deep” message. Before entering into speculation as to the identity of the perpetrators and the delivery method they used, it is worth contemplating how serious a situation this is for the perpetrators. China has been attacked. China is going to know that it has been attacked and it is going to know that a Nuclear weapon has just been used in one of its cities. This is an unprecedented event. A nuclear armed superpower has just seemingly been covertly attacked in a shadow war with an unnamed enemy using Nuclear weapons. The comparisons with the damage caused to Manhattan and Tianjin are quite clear. But the situation here is completely different. The Limits to 911 Comparisons. When the Cabal conducted 911, they were offering a great deal to the US government. They were giving them a story, a national security story, a foreign policy story, a story where the US government played the good guys and no-one questioned the level of military spending and the new police state measures. It was quite a friendly deal in many ways, probably reflecting the fact that the US Government was heavily penetrated by the Cabal and thus considered an “unruly ally” that needed to be put in line. They are not really offering China anything at this point in terms of a narrative.Indeed there seems to be a concerted attempt to crash the Chinese stock market and possibly entire economy underway at the moment, in parallel with this attack. This is a covert declaration of war against a Nuclear superpower. This is an act of insanity, utter insanity and can only rationally be seen as an attempt to promote general war between China and the United States or as part of an attempted coup in China. The intent of the plotters is not known but there can be no doubt this is a most sinister plot with the potential to begin a far broader human catastrophe. The cars in Tianjin show the signs of having been struck by a Thermal blast associated with a Nuclear blast, the premature corrosion giving a rusted appearance is one strong tell-tale sign. There have long been and continue to be parallel chains of command operating within the US state. The Official US chain of command has not done this and I severely doubt that the unofficial chain of command did it either, but once you get these parallel chains of command you never know what may happen. The action does not fit the profile of either the CIA or the US military neither of whom are about to declare war on China. A cruise missile has a return address, as well as a distinctive sound that was not heard. 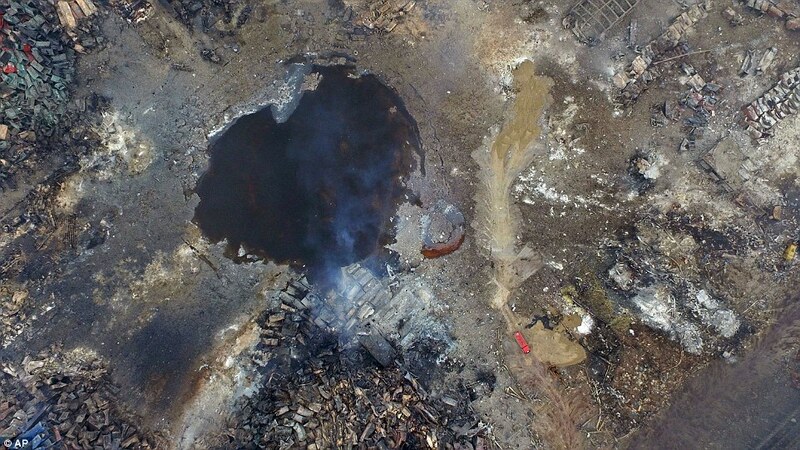 Until the beneath the surface reality of what was being stored at the site emerges, it is impossible to tell if there was something in the Tianjin Port that was specifically targeted. 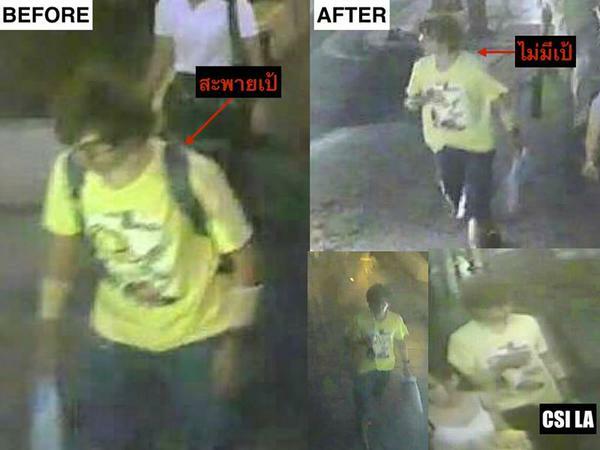 If this information becomes available a far more complete picture of the incident may emerge to illuminate the hidden facts behind this attack as the knowledge of the twelve dead Syrian scientists illuminated the April 2004 Ryongchon disaster. All logic points to the device being placed at the site of the attack rather than fired from a projectile. This is the only delivery method that makes any sense as a cruise missile has a return address. Any external weapon has a return address. If you imagine yourself in the perpetrators position and you are going to engage in a covert Nuclear attack on a target, The device will be placed at the attack site by an agent rather than any military delivery system because if you use a jet or a satellite to deliver the weapon to the site, it will be much harder to disguise what has happened and the identity of the perpetrators. The fact that no object was filmed nor described nor heard impacting in Tianjin is not proof that there was no impact but it does place a massive question mark over any hypothesis that relies on this such as the rod of god and cruise missile hypotheses. If Tianjin was attacked by an aerial platform it was an invisible platform delivering an invisible weapon it seems. This does not exclude the possibility that a laser based platform was used to detonate a secondary device in Tianjin. This event has many of the signatures of the Western Dark elite, the Cabal or Bankers Empire. Alleged D.I.A recording of Benjamin Netanyahu, Finks Bar, 1990. This is a shocking little speech but the really interesting thing here is the we. Who is “We” here? It’s not Israel surely, Israel as a state does not hate the United States for obvious reasons. Few nations have done more for another state than the US has done for Israel in terms of financial and military support. It’s not Israel, nor even the Likud party, it is certainly not Jewish people in general or anything or anyone that is associated with the Netanyahu public persona. The “We “ Netanyahu refers to is the Western Financial Oligarchy or to put it bluntly, the Cabal. When those former IDF members detonated weapons in New York City in 2001, this was who they were serving and this role has been played by a number of Western and Law Enforcement and Intelligence organs to a greater or lesser extent. This has very little to do with the State of Israel or any other state. MI5 and MI6 have played the role, the FBI, CIA and even elements of the US military have played this role at various times along with the Mossad. The crimes belong to the criminal overlords and the co-opted agencies but it would be incorrect to identify these operations with any nation. All these groups were simply cut outs, they were being used, it could just as easily have been the Nigerian Security Services or the Australian, but the ability to get things done would not be achieved by that, hence the intense targeting of so many US agencies. The US along with the British, French and the Israeli’s got priority for infiltration because of the power it conferred. That is how it seems to work. 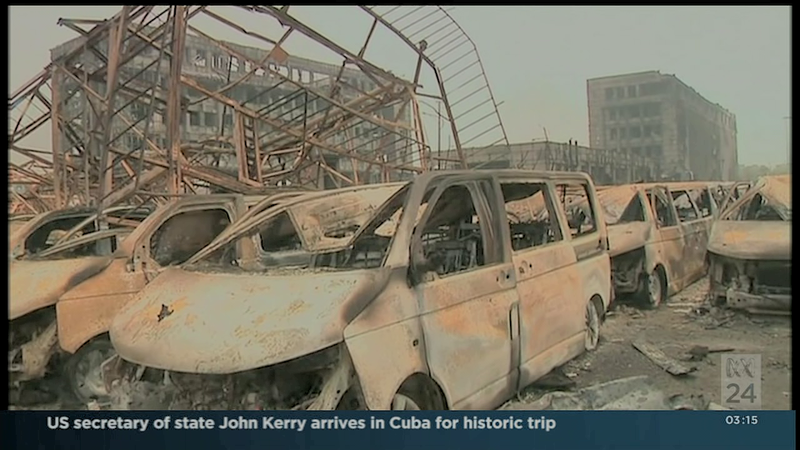 The stunning devastation and fires in the aftermath of Tianjiin blasts. The response to this incident from the Chinese Government is a matter of mystery. Some things can be assumed. The Chinese probably know that a Nuclear weapon has been detonated in one of their cities, and if they do not know this now, they soon will. No matter what is said in public or how long it takes, they are not going to sit back and take this. This is not the Government of Syria or a small weak state that has been attacked. Bad things are going to happen on the back of this event whether it takes them ten or twenty years they will and they can extract revenge for this event. Surely it is time to recognise the threat these sinister elements represent to the West and to human civilisation? The best that can be hoped to come from this would be the destruction and imprisonment of the criminal cabal. If Western agencies help the Chinese Government identify the real perpetrators of this event the Chinese will understand that someone is trying to manipulate a major war and avoid this cataclysmic path. The dismantlement of this group would have been the logical thing to do following 911, all things considered. The failure to act on previous atrocities has and will continue to leave the way open for these fiends to commit fresh evil such as the attack on Tianjin. How many more must die before people recognise the true nature of this group and what they represent? This is one of the most stunning and chilling videos I have ever seen. Every element of this short video howls nuclear attack without a word on the subject being said. The scale of the evil here is very clear and there is a sense of the consciousness of it from the Chinese. Russia Today will often show but not voice difficult truths. 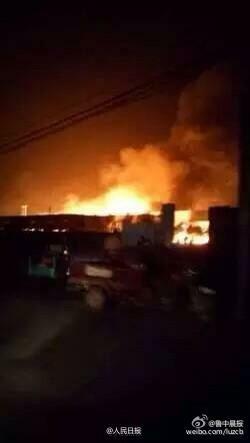 China Suffers ANOTHER Massive Chemical Warehouse Explosion Ten Days after Tianjin!! No this is not Tianjin but Shangdong-this has taken place in recent hours. 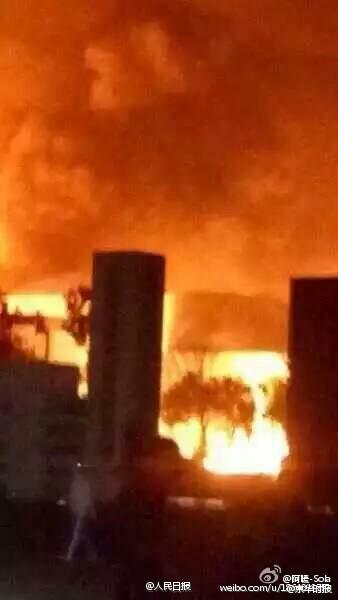 Shandong Province Petrochemical Plant Explosion Breaking News. 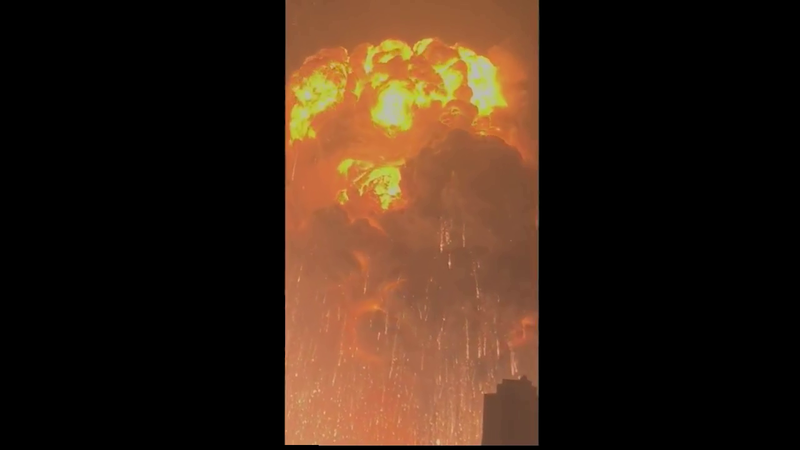 This story is fresh and there are a lack of details but it seems noteworthy that a massive explosion has taken place at a Petrochemical plant in China’s Shandong province.. Were it not for the Tianjin incidents and increasing tensions along the Korean ceasefire line this incident may have escaped attention. Explosive incidents at petrochemical plants are quite commonplace. 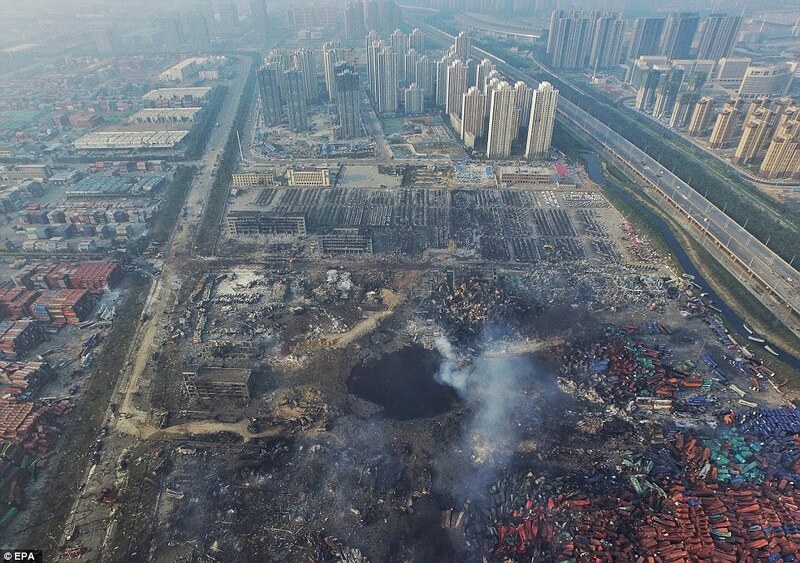 But Tianjin was no accident it seems and therefore this event appears in a most sinister light. 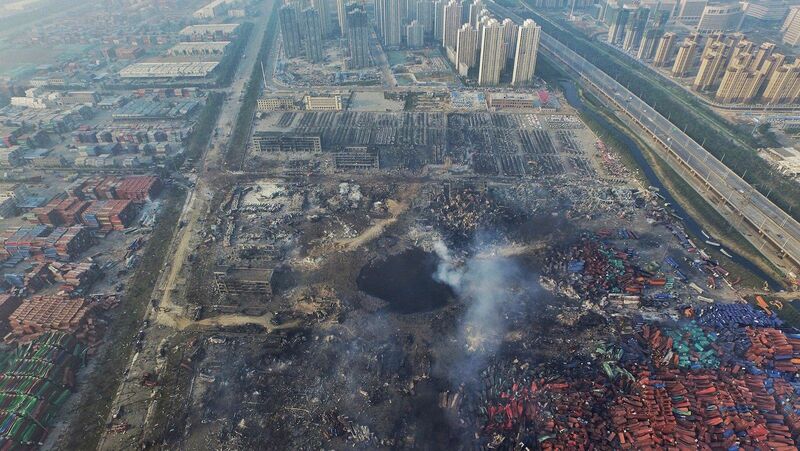 Shangdong province, China Petrochemical plant explosion aftermath. 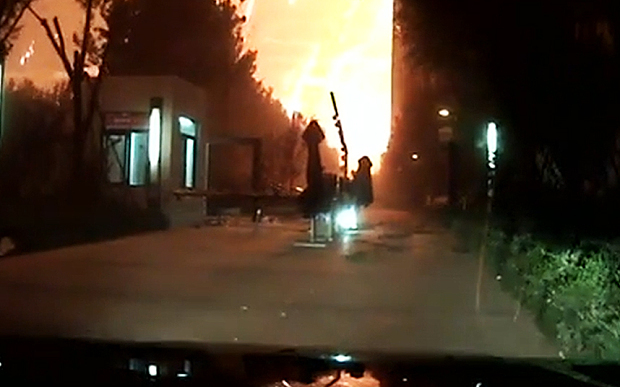 As this piece states explosions at Petrochemical plants are quite common and there had been an earlier incident at a Shandong Petrochenical plant that was confused with the incident that happened yesterday as people were uploading the old incident onto new Youtube videos yesterday so videos had the right date stamp, were taken in the right location and showed the right type of incident but it was a previous petroblast. Many thanks to Dave for pointing this error out. The French Train Shooting: Would You Believe? 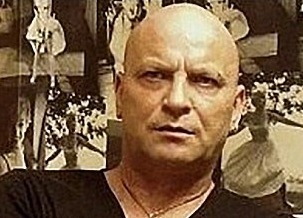 August 22, 2015 October 30, 2015 James Robertson false flag, France, Hoax event, Psychological warfare	controlled media. Off duty US soldier treated for sueprficial wounds as part of the pathetique Amsterdam Paris train psyop. So we have the non-event on the train traveling to Paris from Amsterdam via Belgium. This is one of the most insulting tales that the Greater Western liars have ever told. Initially they were trying to claim that there was a shooting incident on the train, that brave off duty US soldiers tackled a supposed jihadist gunman who had opened fire on the train wounding two people critically. This was the initial line. The lies are in bold print. 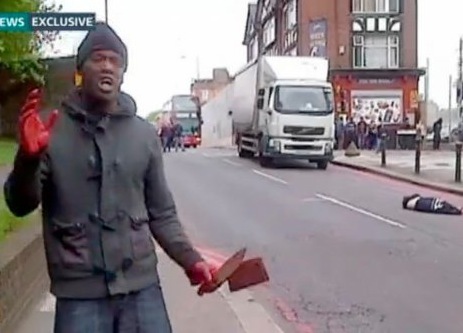 Whenever I walk past a public toilet I always make a point to listen in for the sound of a Muslim terrorist clandestinely loading an automatic weapon. Always. This is especially effective when I am traveling on a high-speed train and the click of a magazine being shoved into the breach can be easily heard over the sound of the train and the other passengers and all the other sounds. “They tried to detain him and the man fired, wounding three people, two of whom were struck by bullets, the newspaper reported. The route of the train with Arras highlighted as this is where the train stopped. This narrative remained in place for many hours and was supported explicitly by the French Government. Who must have known they were lying. “A man has been arrested after firing a Kalashnikov rifle on board an Amsterdam-Paris train, according to French media. 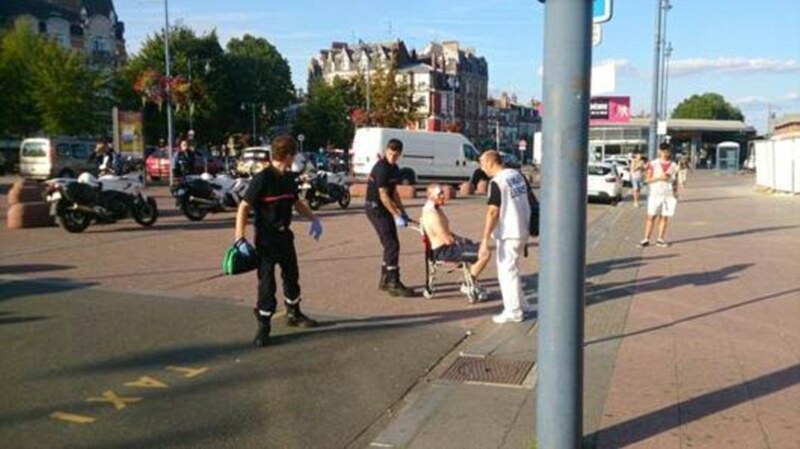 Le Parisien reports that a Briton and an American are “seriously” wounded. A third person, the French actor Jean-Hugues Anglade, was also wounded and is said to have raised the alarm. 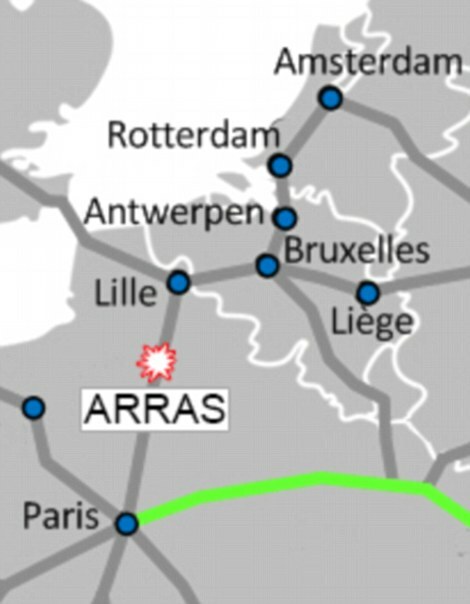 La Voix du Nord, a newspaper in the Calais region, said a man was arrested on suspicion of firing the weapon on a Thalys train near the northern town of Arras. 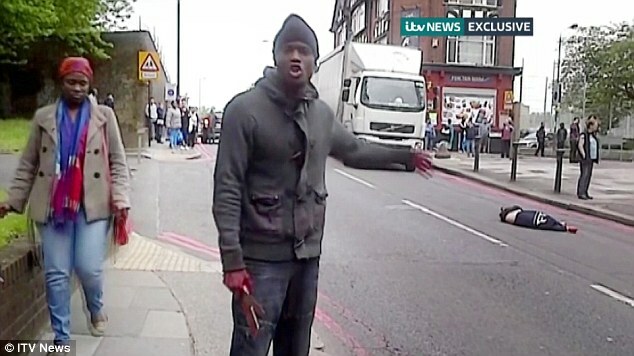 The French Interior Minister’s office was telling outrageous lies about this incident for many hours. “Bernard Cazeneuve, France’s interior minister, is on his way to Arras now. What is the problem with the story? There were no shots fired, no gunshot wounds, no-one was critically wounded. That was all a lie. The President of the Republic is being kept informed in the aftermath of the attack carried out on the Amsterdam – Paris train. Three people have been injured and two of them are in a critical condition. They are being attended to by emergency services. The aggressor, who has not yet been identified, was arrested at Arras train station, where the interior minister will be shortly. Everything is being done to shed some light on this drama and gain as much as much information about it as possible. At this point, some seven hours after the event and having allowed the French president to make a complete fool and buffoon of himself. The French Minister of the Interior begins to quietly back away from all the lies he has been telling and allowing to stand. But I thought two people were shot and critically wounded? Is that not drama? The Video of the Aftermath. 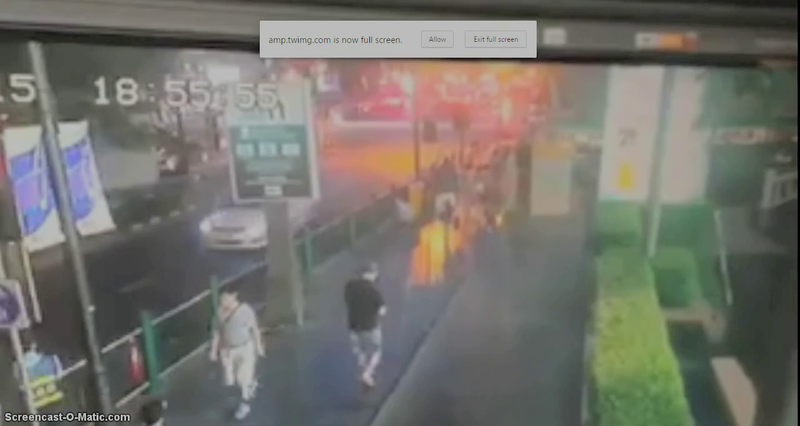 A video has been released that shows the immediate aftermath of the “gunman” being apprehended. This is clear because during the short video the participants are still trying to find a handgun that apparently belonged to the gunman. 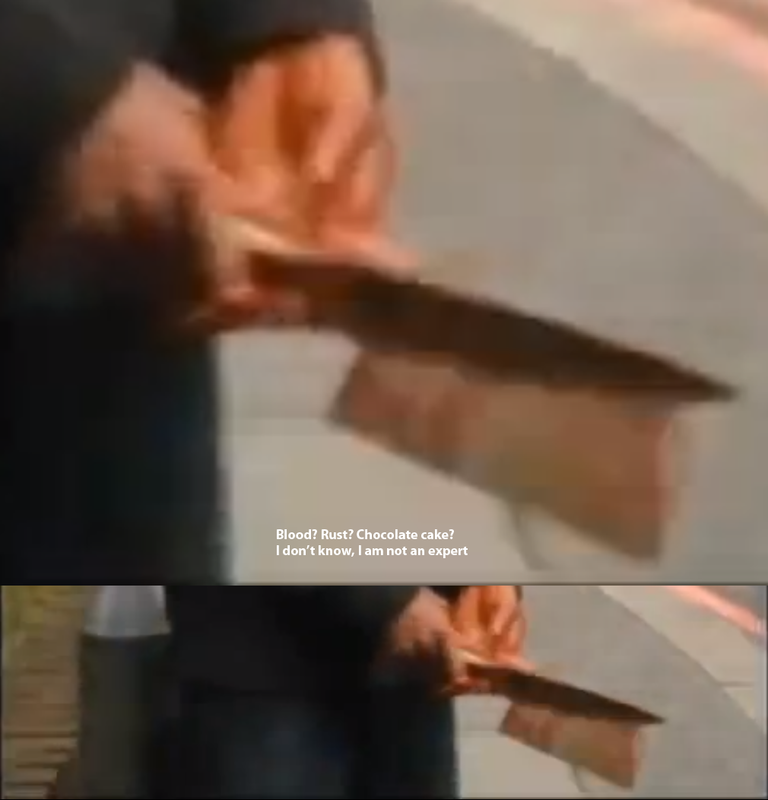 One of the men in the video states that “I tried to shoot him” or words to that effect but the gun fell down somewhere. One of the men has superficial cuts to the back of his head. There is a spot of blood. The wound will not require stitches or a blood transfusion and is nowhere near life threatening. There is no mention of any shooting or anyone being badly wounded. 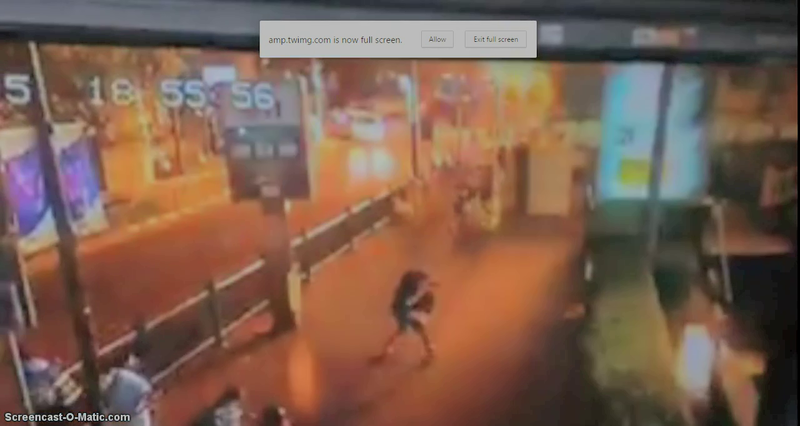 The video of the aftermath makes it perfectly clear there has been no shooting. There were no shots fired and the way the controlled media are dealing with the fact that they have presented a completely exaggerated and false narrative of this event is to simply pretend it never happened. There was no shooting on the train. None. One apparently highly supervised “terrorist” was set up by several European Security Services. No-one was badly hurt. Nothing really happened. And as if the whole thing was not obvious enough the entire affair was kicked off on Twitter by a rather obvious US psyops unit. They make it so obvious they are running a “narrative” by providing their happy and “heroic” detail far, far too early. The first reports of an authentic event would read more along the lines of “an apparent terrorist gunman was tackled and arrested by passengers on an Amsterdam Paris route train” etc. The first reports would cover the basic facts. 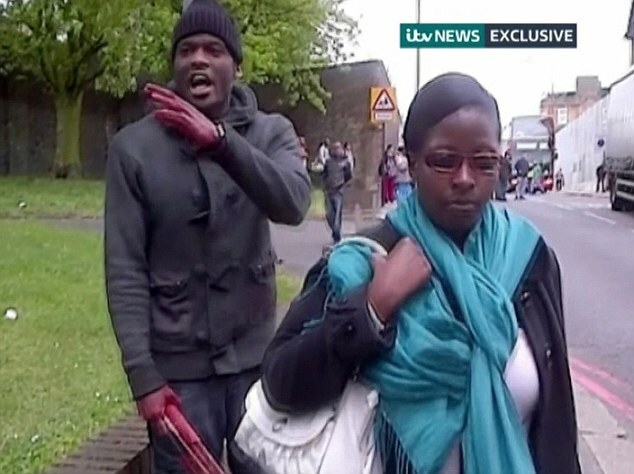 The specific identities or affiliation of the people who tackled the gunman would never emerge in the first report.